Version for LH use is created by removal of the round cylinder, rotating it of 180°, and refitting it. 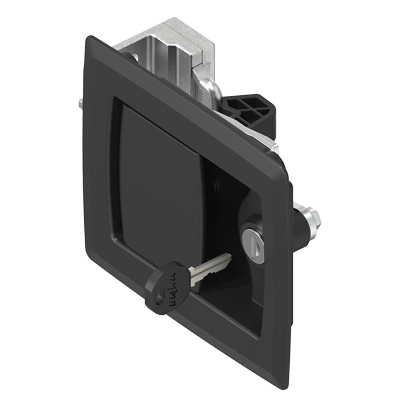 The spring-loaded locking hook is equipped with a ‘door-slam’ effect. Thereby door can also be closed when locked.